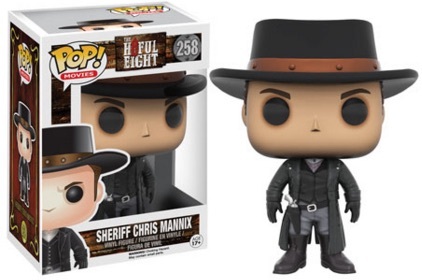 Covering The Hateful Eight by Quentin Tarantino, the 2015 Funko Pop Hateful Eight vinyl figures total four options for the modern western. 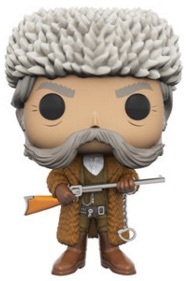 Written and directed by Tarantino, the film tells the story of eight strangers trapped during a blizzard in post-Civil War Wyoming. 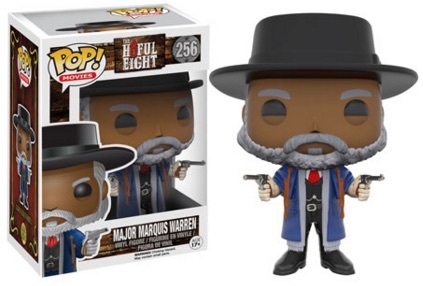 Among the figures included, Kurt Russell as John "The Hangman" Ruth and Samuel L. Jackson as Major Marquis Warren are the key options. 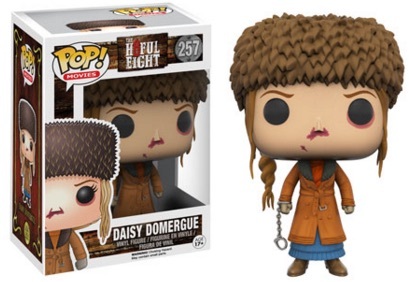 There are also figures for Daisy Domergue (Jennifer Jason Leight) and Sheriff Chris Mannix (Walton Goggins). 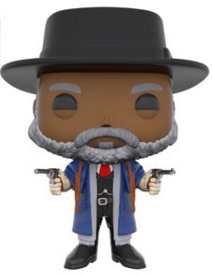 Equipped for battle, most of the figures come complete with guns and both Daisy and John include attached handcuffs. 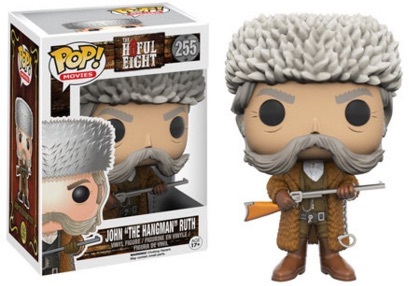 The Hateful Eight figures are numbered as part of the Pop! Movies line. Each figure is approximately 3 3/4" in height.